1 Prayer Is a Means Necessary to Salvation. One of the errors of Pelagianism was the assertion that prayer is not necessary for salvation. Pelagius, the impious author of that heresy, said that man will only be damned for neglecting to know the truths necessary to be learned. How astonishing! St. Augustine said: 'Pelagius discussed everything except how to pray,' though, as the saint held and taught, prayer is the only means of acquiring the science of the saints; according to the text of St. James: If any man lacks wisdom, let him ask of God, who gives to all abundantly, and upbraides not (James 1,5). The Scriptures are clear enough in pointing out; how necessary it is to pray, if we would be saved. We ought always to pray, and not to faint (Lk. 18,1). Watch and pray, that you enter not into temptation (Mt. 26,41). Ask, and it shall be given you ( Mt. 7,7 ) . The words 'we ought,' 'pray,' 'ask,' according to the general consent of theologians, impose the precept, and denote the necessity of prayer. Wickliffe said that these texts are to be understood, not precisely of prayer, but only of the necessity of good works, for in his system prayer was only well-doing; but this was his error, and was expressly condemned by the Church. Hence Lessius wrote that it is heresy to deny that prayer is necessary for salvation in adults; as it evidently appears from Scripture that prayer is the means, without which we cannot obtain the help necessary for salvation. The author of the Opus lmperfectum says that God has given to some animals swiftness, to others claws, to others wings, for the preservation of their life; but he has so formed man, that God himself is his only strength. So that man is completely unable to provide for his own safety, since God has willed that whatever he has, or can have, should come entirely from the assistance of his grace. Hence it is that the generality of theologians, following St. Basil, St. Chrysostom, Clement of Alexandria, St. Augustine, and other Fathers, teach that prayer is necessary to adults, not only because of the obligation of the precept (as they say), but because it is necessary as a means of salvation. That is to say, in the ordinary course of Providence, it is impossible that a Christian should be saved without recommending himself to God, and asking for the graces necessary to salvation. St. Thomas teaches the same: 'After baptism, continual prayer is necessary to man, in order that he may enter heaven; for though by baptism our sins are remitted, there still remain concupiscence to assail us from within, and the world and the devil to assail us from without.' The reason then which makes us certain of the necessity of prayer is shortly this, in order to be saved we must contend and conquer: He that strives for the mystery is not crowned except he strive lawfully (2 Tim. 2,5). But without the divine assistance we cannot resist the might of so many and so powerful' enemies: now this assistance is only granted to prayer; therefore without prayer there is no salvation. Moreover, that prayer is the only ordinary means of receiving the divine gifts is more distinctly proved by St. Thomas in another place, where he says that whatever graces God has from all eternity determined to give us, he will give only if we pray for them. St. Gregory says the same thing: 'Man by prayer merits to receive that which God had from all eternity determined to give him.' Not, says St. Thomas, that prayer is necessary in order that God may know our necessities, but in order that we may know the necessity of having recourse to God to obtain the help necessary for our salvation, and may thus acknowledge him to be the author of all our good. As, therefore, it is God's law that we should provide ourselves with bread by sowing corn, and with wine by planting vines; so has he ordained that we should receive the graces necessary to salvation by means of prayer: Ask, and it shall be given you; seek, and you shall find ( Mt. 7,7 ). We, in a word, are merely beggars, who have nothing but what God bestows on us as alms: But I am a beggar and poor (Ps. 39, 18 ) . The Lord, says St. Augustine, desires and wills to pour forth his graces upon us, but will not give them except to him who prays: 'God wishes to give, but only gives to him who asks.' This is declared in the words, Seek, and it shall be given to you. Whence it follows, says St. Teresa, that he who seeks not, does not receive. As moisture is necessary for the life of plants, to prevent them from drying up, so, says St. Chrysostom, is prayer necessary for our salvation. Or, as he says in another place, prayer vivifies the soul, as the soul vivifies the body: 'As the body without the soul cannot live, so the soul without prayer is dead and emits an offensive odor.' He uses these words, because the man who omits to recommend himself to God, at once begins to be defiled with sins. Prayer is also called the food of the soul, because the body cannot be supported without food; nor can the soul, says St. Augustine, be kept alive without prayer: 'As the flesh is nourished by food, so is man supported by prayers.' All these comparisons used by the holy Fathers are intended by them to teach the absolute necessity of prayer for the salvation of everyone. Moreover, prayer is the most necessary weapon of defense against our enemies; he who does not avail himself of it, says St. Thomas, is lost. He does not doubt that Adam fell because he did not recommend himself to God when he was tempted: 'He sinned because he had not recourse to the divine assistance.' St. Gelasius says the same of the rebel angels: 'Receiving the grace of God in vain, they could not persevere, because they did not pray.' St. Charles Borromeo, in a pastoral letter, observes, that among all the means of salvation recommended by Jesus Christ in the Gospel, the first place is given to prayer; and he has determined that this should distinguish his Church from all false religions, when he calls her 'the house of prayer.' My house is a house of prayer (Mt. 21,13). St. Charles concludes that prayer is 'the beginning and progress and the completion of all virtues.' So that in darkness, distress, and danger,: we have no other hope than to raise our eyes to God, and with fervent prayers to beseech his mercy to save us: As we know not, said king Josaphat, what to do, we can only turn our eyes to you ( 2 Par. 20,12 ) . T his also was David's practice, who could find no other means of safety from his enemies, than continual prayer to God to deliver him from their snares: My eyes are ever towards the Lord; for he shall pluck my feet out of the snare ( Ps. 24,15 ) . So he did nothing but pray: Look upon me, and have mercy on me; for I am alone and poor (Ibid. 16). I cried to you, O Lord; save me that I may keep your commandments (Ps. 118,146). Lord, turn your eyes to me, have pity on me, and save me; for I can do nothing, and beside you there is none that can help me. And, indeed, how could we ever resist our enemies and observe God's precepts, especially since Adam's sin, which has rendered us so weak and infirm, unless we had prayer as a means whereby we can obtain from God sufficient light and strength to enable us to observe them? It was a blasphemy of Luther's to say that after the sin of Adam the observance of God's law has become absolutely impossible to man. Jansenius also said that there are some precepts which are impossible even to' the just, with the power which they actually have, and so far his proposition bears a good sense; but it was justly ' condemned by the Church for the addition he made to it, when he said that they have not the grace to make the precepts possible. It is true, says St. Augustine, that man, in consequence of his weakness, is unable to fulfil some of God's commands with his present strength and the ordinary grace given to all men; but he can easily, by prayer, obtain such further aid as he requires for his salvation: 'God commands not impossibilities, but by commanding he suggests to you to do what you can, to ask for what is beyond your strength; and he helps you, that you may be able.' This is a celebrated text, which was afterwards adopted and made a doctrine of faith by the Council of Trent. The holy Doctor immediately adds, 'Let us see whence?' (i.e., how man is enabled to do that which he cannot). 'By medicine he can do that which his natural weakness renders impossible to him.' That is, by prayer we may obtain a remedy for our weakness; for when we pray, God gives us strength to do that which we cannot do of ourselves. We cannot believe, continues St. Augustine, that God would have imposed on us the observance of a law, and then made the law impossible. When, therefore, God shows us that of ourselves we are unable to observe all his commands it is simply to admonish us to do the easier things by means of the ordinary grace which he bestows on us, and then to do the more difficult things by means of the greater help which we can obtain by prayer. 'By the very fact that it is absurd to suppose that God could have commanded us to do impossible things, we are admonished what to do in easy matters, and what to ask for in difficulties.' But why, it will be asked, has God commanded us to do things impossible to our natural strength? Precisely for this, says St. Augustine, that we may be incited to pray for help to do that which of ourselves we cannot do. 'He commands some things which we cannot do, that we may know what we ought to ask of him.' And in another place: 'The law was given, that grace might be sought for; grace was given that the law might be fulfilled.' The law cannot be kept without grace, and God has given the law with this object, that we may always ask him for grace to observe it. In another place he says: 'The law is good, if it be used lawfully; what, then, is the lawful use of the law?' He answers: 'When by the law we perceive our own weakness, and ask of God the grace to heal us.' St. Augustine then says: We ought to use the law; but for what purpose? To learn by means of the law, which we find to be above our strength, our own inability to observe it, in order that we may then obtain by prayer the divine aid to cure our weakness. St. Bernard's teaching is the same: 'What are we, or what is our strength, that we should be able to resist so many temptations? This certainly it was that God intended; that we, seeing our deficiencies, and that we have no other help, should with all humility have recourse to his mercy.' God knows how useful it is to us to be obliged to pray, in order to keep us humble, and to exercise our confidence; and he therefore permits us to be assaulted by enemies too mighty to be overcome by our own strength, that by prayer we may obtain from his mercy aid to resist them; and it is especially to be remarked that no one can resist the impure temptations of the flesh without recommending himself to God when he is tempted. This foe is so terrible that, when he fights with us, he? as it were, takes away all light; he makes us forget all our meditations, all our good resolutions; he makes us also disregard the truths of faith, and even almost lose the fear of the divine punishments. For he conspires. with our natural inclinations, which drive us with the greatest violence to the indulgence of sensual pleasures. He who in such a moment does not have recourse to God is lost. The only defense against this temptation is prayer, as St. Gregory of Nyssa says: 'Prayer is the bulwark of chastity'; and before him Solomon: And as I knew that I could not otherwise be continent except God gave it, I went to the Lord and besought him (Wis. 8,21). Chastity is a virtue which we have no strength to practice, unless God gives us; and God does not give this strength except to him who asks for it. But whoever prays for it will certainly obtain it. Hence St. Thomas observes (in contradiction to Jansenius) that we ought not to say that the precept of chastity, or any other; is impossible to us; for though we cannot observe it by our own strength, we can by God's assistance. 'We must say that what we can do with the divine assistance is not altogether impossible to us.' Nor let it be said that it appears an injustice to order a cripple to walk straight. No, says St. Augustine, it is not an injustice, provided always means are given him to find the remedy for his lameness; for after this, if he continues to go crooked, the fault is his own: 'It is most wisely commanded that man should walk uprightly, so that when he sees that he cannot do so of himself, he may seek a remedy to heal the lameness of sin.' Finally, the same holy Doctor says, that he will never know how to live well who does not know how to pray well. 'He knows how to live aright who knows how to pray aright'; and, on the other hand, St. Francis of Assisi says that without prayer you can never hope to find good fruit in a soul. Is it useful to have recourse to the saints? Here a question arises, whether it is necessary to have recourse also to the intercession of the saints to obtain the grace of God. Is it good to invoke the souls in purgatory? Again, it is disputed whether there is any use in recommending one's self to the souls in purgatory. Some say that the souls in that state cannot pray for us; and these rely on the authority of St. Thomas, who says that those souls, while they are being purified by pain, are inferior to us, and therefore 'are not in a state to pray for us, but rather require cur prayers.' But many other Doctors, as Bellarmine, Sylvius, Cardinal Gotti, Lessius, Medina and others affirm with great probability, that we should piously believe that God manifests our prayer to those holy souls in order that they may pray for us; and that so the charitable interchange of mutual prayer may be kept up between them and us. Nor do St. Thomas' words present much difficulty; for, as Sylvius and Gotti say, it is one thing not to be in a state to pray, another not to be able to pray. It is true that those souls are not in a state to pray, because, as St. Thomas says, while suffering they are inferior to us, and rather require our prayers; nevertheless, in this state they are well able to pray, as they are friends of God. If a father keeps a son whom he tenderly loves in confinement for some fault; if the son then is not in a state to pray for himself, is that any reason why he cannot pray for others? and may he not expect to obtain what he asks, knowing, as he does, his father's affection for him? So the souls in purgatory, being beloved by God, and confirmed in grace, have absolutely no impediment to prevent them from praying for us. Still the Church does not invoke them, or implore their intercession, because ordinarily they have no cognizance of our prayers. But we may piously believe that God makes our prayers known to them; and then they, full of charity a. they are, most assuredly do not omit to pray for us. St. Catharine of Bologna, whenever she desired any favor, had recourse to the souls in purgatory, and was immediately heard. She even testified that by the intercession of the souls in purgatory she had obtained many graces which she had not been able to obtain by the intercession of the saints. Here let me make a digression in favor of those holy souls. If we desire the aid of their prayers, it is but fair that we should mind to aid them with our prayers and good works. I said it is fair, but I should have said it is a Christian duty; for charity obliges us to succor our neighbor when he requires our aid, and we can help him without grievous inconvenience. Now it is certain that amongst our neighbors are to be reckoned the souls in purgatory, who, although no longer living in this world, yet have not left the communion of saints. 'The souls of the pious dead,' says St. Augustine, 'are not separated from the Church,' and St. Thomas says more to our purpose, that the charity which is due to the dead who died in the grace of God is only an extension of the same charity which we owe to our neighbor while living: 'Charity, which is the bond which unites the members of the Church, extends not only to the living, but also to the dead who die in charity.' Therefore, we ought to succor, according to our ability, those holy souls as our neighbors; and as their necessities are greater than those of our other neighbors, our duty to succor them seems also to be greater. But now, what are the necessities of those holy prisoners? It is certain that their pains are immense. The fire that tortures them, says St. Augustine, is more excruciating than any pain that man can endure in this life: That fire will be more painful than anything that man can suffer in this life.' St. Thomas thinks the same, and supposes it to be identical with the fire of hell: 'The damned are tormented and the elect purified in the same fire.' And this only relates to the pains of sense. But the pain of loss (that is, the privation of the sight of God ), which those holy souls suffer, is much greater; because not only their natural affection, but also the supernatural love of God, wherewith they burn, draws them with such violence to be united with their Sovereign Good, that when they see the barrier which their sins have put in the way, they feel a pain so acute, that if they were capable of death, they could not live a moment. So that, as St. Chrysostom says, this pain of the deprivation of God tortures them incomparably more than the pain of sense: 'The flames of I a thousand hells together could not inflict such torments as the pain of loss by itself.' So that those holy souls would rather suffer every other possible torture than be deprived for a single instant of the union with God for which they long. So St. Thomas says that the pain of purgatory exceeds anything that can be endured in this life: 'The pain of purgatory must exceed all pain of this life.' And Dionysius the Carthusian relates, that a dead person, who had been raised to life by the intercession of St. Jerome, told St. Cyril of Jerusalem that all the torments of this earth are refreshing and delightful when compared with the very least pain of purgatory: If all the torments of the world were compared with the least that can be had in purgatory they would appear comfortable.' And he adds, that if a man had once tried those torments, he would rather suffer all the earthly sorrows that man can endure till the Day of Judgment, than suffer for one day the least pain of purgatory. Hence St. Cyril wrote to St. Augustine: 'That as far as regards the infliction of suffering, these pains are the same as those of hell -- their only difference being that they are not eternal.' Hence we see that the pains of these holy souls are excessive, while, on the other hand, they cannot help themselves; because as Job says: They are in chains and are bound with the cords of poverty ( Job 36,8). They are destined to reign with Christ; but they are withheld from taking possession of their kingdom till the time of their purgation is accomplished. And they cannot help themselves ( at least not sufficiently, even according to those theologians who assert that they can by their prayers gain some relief,) to throw off their chains, until they have entirely satisfied the justice of God. This is precisely what a Cistercian monk said to the sacristan of his monastery: 'Help me, I beseech you, with your prayers; for of myself I can obtain nothing.' And this is consistent with the saying of St. Bonaventure: 'Destitution prevents solvency.' That is, those souls are so poor, that they have no means of making satisfaction. On the other hand, since it is certain, and even of faith, that by our suffrages, and chiefly by our prayers, as particularly recommended and practiced by the Church, we can relieve those holy souls, I do not know how to excuse that man from sin who neglects to give them some assistance, at least by his prayers. If a sense of duty will not persuade us to succor them, let us think of the pleasure it will give Jesus Christ to see us endeavoring to deliver his beloved spouses from prison, in order that he may have them with him in paradise. Let us think of the store of merit which we can lay up by practicing this great act of charity; let us think, too, that those souls are not ungrateful, and will never forget the great benefit we do them in relieving them of their pains, and in obtaining for them, by our prayers, anticipation of their entrance into glory; so that when they are there they will never neglect to pray for us. And if God promises mercy to him who practices mercy towards his neighbor -- Blessed are the merciful for they shall obtain mercy (Mt. 5,7) -- he may reasonably expect to be saved who remembers to assist those souls so afflicted, and yet so dear to God. Jonathan, after having saved the Hebrews from ruin by a victory over their enemies, was condemned to death by his father Saul for having tasted some honey against his express commands; but the people came before the king, and said, Shall Jonathan then die, who hath wrought this great salvation in Israel? (I Samuel 14,45). So may we expect that if any of us ever obtains, by his prayers, the liberation of a soul from purgatory, that soul will say to God: 'Lord, suffer not him who has delivered me from my torments to be lost.' And if Saul spared Jonathan's life at the request of his people, God will not refuse the salvation of a Christian to the prayers of a soul which is his own spouse. Moreover, St. Augustine says that God will cause those who in this life have most succored those holy souls, when they come to purgatory themselves, to be most succored by others. l may here observe that, in practice, one of the best suffrages is to hear Mass for them, and during the Holy Sacrifice to recommend them to God by the merits and passion of Jesus Christ. The following form may be used: 'Eternal Father, I offer you this Sacrifice of the body and blood of Jesus Christ, with all the pains which he suffered in his life and death; and by his passion I recommend to you the souls in purgatory, and especially that of...' etc. And it is a very charitable act to recommend, at the same time, the souls of all those who are at the point of death. Is it necessary to invoke the saints? Whatever doubt there may be whether or not the souls -- in purgatory can pray for us, and therefore whether or not it is of any use to recommend ourselves to their prayers, there can be no doubt whatever with regard to the saints. For it is certain that it is most useful to have recourse to the intercession of the saints canonized by the Church, who are already enjoying the vision o f God. To suppose that the Church can err in canonizing, is a sin, or is heresy, according to St. Bonaventure, Bellarmine, and others; or at least next door to heresy, according to Suarez, Azorius, Gotti, etc. ; Because the Sovereign Pontiff, according to St. Thomas, is guided by the infallible influence of the Holy Spirit in a special way when canonizing the saints. Hence St. Bernard exhorts us to have continual recourse to the Mother of God, because her prayers are certain to be heard by her Son: 'Go to Mary, I say, without hesitation; the Son will hear the Mother.' And then he says: 'My children, she is the ladder of sinners, she is my chief confidence, she is the whole ground of my hope.' He calls her 'ladder,' because, as you cannot mount: the third step except you first put your foot on the second, nor can you arrive at the second except by the first, so you cannot come to God except by means of Jesus Christ, nor can you come to Christ except by means of his Mother. Then he calls her his greatest security, and the whole ground of his hope; because, as he affirms, God wills that all the graces which he gives us should pass through the hands of Mary. And he concludes by saying, that we ought to ask all the graces which we desire through Mary; because she obtains whatever she seeks, and her prayers cannot be resisted. 'Let us seek grace, and let us seek it through Mary; because what she seeks she finds and she cannot he disappointed.' The following saints teach the same as St. Bernard: St. Ephrem, 'We have no other confidence than from you, O purest Virgin!' St. Ildephonsus, 'All the good things that the divine Majesty has determined to give them, he has determined to commit to your hands; for to you are entrusted the treasures and the wardrobes of grace.' St. Germanus, 'If you desert us, what will become of us, O life of Christians?' St. Peter Damian, 'In your hands are all the treasures of the mercies of God.' St. Antoninus, 'Who seeks without her aid, attempts to fly without wings.' St. Bernardine of Sienna, 'You are the dispenser of all graces; our salvation is in your hands.' In another place, he not only says that all graces are transmitted to us by means of Mary, but also asserts that the Blessed Virgin, from the time she became Mother of God, acquired a certain jurisdiction over all the graces that are given to us: 'Through the Virgin the vital graces are transfused from Christ, the head, into his mystical body. From the time when the Virgin Mother conceived in her womb the Word of God, she obtained a certain jurisdiction (if I may so speak) over every temporal procession of the Holy Spirit; so that no creature could obtain any grace from God, except by the dispensation of his sweet Mother.' And he concludes, 'Therefore all gifts, virtues, and graces are dispensed through her hands to whom she wills, and as she wills.' St. Bonaventure says the same: 'Since the whole divine nature was in the womb of the Virgin, I do not fear to teach that she has a certain jurisdiction over all the streams of grace; as her womb was, as it were, an ocean of the divine nature, whence all the streams of grace must emanate.' On the authority of these saints, many theologians have piously and reasonably defended the opinion, that there is no grace given to us except by means of the intercession of Mary; so Mendoza, Vega, Paciucchelli, Segneri, Piore, Crasset and others, as also the learned Alexander Natalis who says: 'It is God's will that we should look to him for all good things, to be procured by the most powerful intercession of the Blessed Virgin, when we invoke her, as it is fit.' And he quotes in confirmation the passage of St. Bernard: 'Such is his will, who has determined that we should receive all through Mary.' Contenson says the same, in a comment on the words addressed by Jesus on the cross to St. John, 'Behold thy Mother' (Jn 19,273: as though he had said, 'No one shall be partaker of my blood except by the intercession of my Mother. My wounds are fountains of grace; but their streams shall Mow to no one, except through the canal of Mary. O my disciple John, I will love you as you love her!' For the rest, it is certain that if God is pleased when we have recourse to the saints, he will be much more pleased when we avail ourselves of the intercession of Mary, that she, by her merits, may compensate for our unworthiness, according to the words of St. Anselm: 'That the dignity of the intercessor may supply for our poverty. So that, to invoke the Virgin is not to distrust God's mercy, but to fear our own unworthiness.' St. Thomas, speaking of her dignity, calls it, as it were, infinite: 'From the fact that she is the Mother of God, she has a certain infinite dignity.' So that it may be said with reason, that the prayers of Mary have more power with God than those of all heaven together. Let us conclude this first point by giving the gist of all that has been said hitherto. He who prays is certainly saved. He who prays not is certainly damned. All the blessed (except infants) have been saved by prayer. All the damned have been lost through not praying; if they had prayed, they would not have been lost. And this is, and will be, their greatest torment in hell, to think how easily they might have been caved, only by asking God for his grace; but that now it is too late, -- the time of prayer is over. Our prayers are so dear to God, that he has appointed the angels to present them to him as soon as they come forth from our mouths. 'The angels,' says St. Hilary, 'preside over the prayers of the faithful, and offer them daily to God.' This is that smoke of the incense, which are the prayers of saints, which St. John saw ascending to God from the hands of the angels (Apoc. 8,3); and which he saw in another place represented by golden phials full of sweet odors, very acceptable to God. But in order to understand better the value of prayers in God's sight, it is sufficient to read both in the Old and New Testaments the innumerable promises which God makes to the man that prays. Cry to me, and l will hear you (Ps. 49,15). Call upon me, and I will deliver you (Jer. 33,3). Ask, and it shall be given you; seek, and you shall find; knock, and it shall be opened to you. He shall give good things to them that ask him (Mt. 7,7). Everyone that asks receives, and he that seeks finds (Lk. 11,10). Whatsoever they shall ask, it shall be done for them by my Father (Jn 15,7). All things whatsoever you ask when you pray, believe that you shall receive them, and they shall come to you (Mt. 18,19). If you ask me anything in my name, that will I do (Jn 14,14). You shall ask whatever you will, and it shall be done to you. Amen, amen, l say to you, if you ask the Father anything in my name, he will give it to you (Jn 16,23). There are a thousand similar texts; but it would take too long to quote them. God wills us to be saved; but for our greater good, he wills us to be saved as conquerors. While, therefore, we remain here, we have to live in a continual warfare; and if we should be saved, we have to fight and conquer. 'No one can be crowned without victory,' says St. Chrysostom. We are very feeble, and our enemies are many and mighty; how shall we be able to stand against them, or to defeat them? Let us take courage, and say with the Apostle, I can do all things in him who strengthens me (Phil. 4,13). By prayer we can do all things; for by this means God will give us that strength which we want. Theodoret says, that prayer is omnipotent; it is but one, yet it can do all things: 'Though prayer is one, it can do all things.' And St. Bonaventure asserts that by prayer we obtain every good, and. escape every evil: 'By it is obtained the gain of every good, and liberation from every. evil.' St. Laurence Justinian says, that by means of prayer we build for ourselves a strong tower, where we shall be secure from all the snares and assaults of our enemies: 'By the exercise of prayer man is able to erect a citadel for himself:' 'The powers of hell are mighty,' says St. Bernard; 'but prayer is stronger than all the devils.' Yes; for by prayer the soul obtains God's help, which is stronger than any created power. Thus David encouraged himself in his alarms: Praising I will call upon the Lord, and I shall be saved from my enemies (Ps. 17,3). For, as St. Chrysostom says, 'Prayer is a strong weapon, a defense, a port, and a treasure.' It is a weapon sufficient to overcome every assault of the devil; it is a defense to preserve us in every danger; it is a port where we may be safe in every tempest; and it is at the same time a treasure which provides us with every good. God knows the great good which it does us to be obliged to pray, and therefore permits us (as we have already shown in the previous chapter) to be assaulted by our enemies, in order that we may ask him for the help which he offers and promises to us. But as he is pleased when we run to him in our dangers, so is he displeased when he sees us neglectful of prayer. 'As the king,' says St. Bonaventure, 'would think it faithlessness in an officer, when his post was attacked, not to ask him for reinforcements, he would be reputed a traitor if he did not request help from the king'; so God thinks himself betrayed by the man who, when he finds himself surrounded by temptations, does not run to him for assistance. For he desires to help us; and only waits to be asked, and then gives abundant succor. This is strikingly shown by Isaias, when, on God's part, he told king Ahaz to ask some sign to assure himself of God's readiness to help him: Ask thee a sign of the Lord thy God (Is. 7,11). The faithless king answered: I will not ask, and l will not tempt the Lord; for he trusted in his own power to overcome his enemies without God's aid. And for this the prophet reproved him: Hear, therefore, O house of David; is it a small thing for you to be grievous to mere, that you are grievous to my God also? because that man is grievous and offensive to God who will not ask him for the graces which he offers. Come to me, all you that labor and are burdened, and I will refresh you ( Mt. 11,28). 'My poor children,' says our Savior, 'though you find yourselves assailed by enemies, and oppressed with the weight of your sins, do not lose heart but have recourse to me in prayer, and I will give you strength to resist, and I will give you a remedy for all your disasters.' In another place he says, by the mouth of Isaias, Come and accuse me, says the Lord; if your sins be as scarlet, they shall be made white as snow (Is. 1,18). O men, come to me; though your consciences are horribly defiled, yet come; I even give you leave to reproach me (so to speak), if after you have had recourse to me, I do not give you grace to become white as snow. What is prayer? It is, as St. Chrysostom says, 'the anchor of those tossed on the sea, the treasure of the poor, the cure of diseases, the safeguard of health.' It is a secure anchor for him who is in peril of shipwreck; it is a treasury of immense wealth for him who is poor; it is a most efficacious medicine for him who is sick; and it is a certain preservative for him who would keep himself well. What does prayer effect? Let us hear St. Laurence Justinian: 'It pleases God, it gets what it asks, it overcomes enemies, it changes men.' It appeases the wrath of God, who pardons all who pray with humility. It obtains every grace that is asked for; it vanquishes all the strength of the tempter, and it changes men from blind into seeing, from weak into strong, from sinners into saints. Let him who wants light ask it of God, and it shall be given. As soon as I had recourse to God says Solomon, he granted me wisdom: I called upon, and the Spirit of wisdom came to me (Wis. 7,7). Let him who wants fortitude ask it of God, and it shall be given. As soon as I opened my mouth to pray, says David, I received help from God: I opened my mouth, and drew in the Spirit (Ps. 118,131). And how in the world did the martyrs obtain strength to resist tyrants, except by prayer, which gave them force to overcome dangers and death? 'He who uses this great weapon,' says St. Chrysostom, 'knows not death, leaves the earth, enters heaven, lives with God.' He falls not into sin; he loses affection for the earth; he makes his abode in heaven; and begins, even in this life, to enjoy the conversation of God. How then can you disquiet such a man by saying: 'How do you know that you are written in the book of life?' How do you know whether God will give you efficacious grace and the gift of perseverance? Be not solicitous, says St. Paul, but in everything by prayer and supplicatory, with thanksgiving, let your petitions be known to God (Phil. 4,6). What is the use, says the Apostle, of agitating yourselves with these miseries and fears? Drive from you all these cares, which are of no use but to lessen your confidence, and to make you more tepid and slothful in walking along the way of salvation. Pray and seek always, and make your prayers sound in God's ears, and thank him for having promised to give you the gifts which you desire whenever you ask for them, namely efficacious grace, perseverance, salvation, and everything that you desire. The Lord has given us our post in the battle against powerful foes; but he is faithful in his promises, and will never allow us to be assaulted more violently than we can resist: God is faithful, who will not suffer you to be tempted above that which thou are able (I Cor. 10,13). He is faithful, since he instantly succors the man who invokes him. The learned Cardinal Gotti writes that God has bound himself not only to give us grace precisely balancing the temptation that assails us, but that he is obliged, when we are tempted, and have recourse to him, to afford us, by means of that grace which is kept ready for and offered to all, sufficient strength for us actually to resist the temptation. 'God is bound, when we are tempted, and fly to his protection, to give us by the grace prepared and offered to all such strength as will not only put us in the way of being able to resist, but will also make us resist; "for we can do all things in him who strengthens us" by his grace, if we humbly ask for it.' We can do all things with God's help, which is granted to everyone who humbly seeks it; so that we have no excuse when we allow ourselves to be overcome by a temptation. We are conquered solely by our own fault, because we would not pray. By prayer all the snares and power of the devil are easily overcome. 'By prayer all hurtful things are chased away,' says St. Augustine. St. Bernardine of Sienna says that prayer is a faithful ambassador, well-known to the King of heaven, and having access to his private chamber, and able by his importunity to induce the merciful heart of the King to grant every aid to us his wretched creatures, groaning in the midst of our conflicts and miseries in this valley of tears. 'Prayer is a most faithful messenger, known to the King, who is used to enter his chamber, and by his importunity to influence the merciful mind of the King, and to obtain us assistance in our toils.' Isaias also assures us that as soon as the Lord hears our prayers, he is moved with compassion towards us; and does not leave us to cry long to him, but instantly replies, and grants us what we ask: Weeping, you shall not weep; he will surely have pity upon you: the voice of your cry as soon as he shall hear, he will answer you (Is. 30,19). In another place he complains of us by the mouth of Jeremias: Am I become a wilderness to Israel, or a lateward springing land? Why then have my people said, we are revolted, and will come to you no more! (Jer. 2,31). Why do you say that you will no more have recourse to me? Has my mercy become to you a barren land, which can yield you no fruits of grace? or a cold soil, which yields its fruit too late So has our loving Lord assured us that he never neglects to hear us, and to hear us instantly when we pray; and so does he reproach those who neglect to pray through distrust of being heard. If God were to allow us to present our petitions to him once a month, even this would be a great favor. The kings of the earth give audiences a few times in the year, but God gives a continual audience. St. Chrysostom writes that God is always waiting to hear our prayers, and that a case never occurred when he neglected to hear a petition offered to him properly: 'God is always prepared for the voice of his servants, nor did he ever, when called upon as he ought to be, neglect to hear.' And in another place he says that when we pray to God, before we have finished recounting to him our supplications, he has already heard us: 'It is always obtained, even while we are yet praying.' We even have the promise of God to do this: As they are yet speaking I will hear (Is. 65,24). The Lord, says David, stands near to everyone who prays, to console, to hear, and to save him: The Lord is nigh to all, them that call upon him; to all that call upon him in truth ( that is, as they ought to call). He will do the will of them that fear him; and he will hear their prayer and will save them (Ps. 144,18,19). This it was in which Moses gloried, when he said: There is not another nation so great, that has gods so nigh them, as our God is present to all our petitions (Deut. 4,7). The gods of the Gentiles were deaf to those who invoked them, for they were wretched fabrications, which could do nothing. But our God, who is Almighty, is not deaf to our prayers, but always stands near the man who prays, ready to grant him all the graces which he asks: In what day soever I shall call upon you, behold I shall know that you are my God (Ps. 55,10). Lord, says the Psalmist, hereby do I know that you, my God, are all goodness and mercy, in that, whenever I have recourse to you, you instantly help me. We are so poor that we have nothing; but if we pray we are no longer poor. If we are poor, God is rich; and God, as the Apostle says, is all liberality to him that calls for his aid: Rich unto all who call upon him (Rom. 10,12). Since, therefore (as St. Augustine exhorts us), we have to do with a Lord of infinite power and infinite riches, let us not go to him for little and valueless things, but let us ask some great thing of him: 'You seek from the Almighty -- seek something great.' If a man went to a king to ask some trumpery coin, like a farthing, I think, that man would but insult his king. On the other hand, we honor God, we honor his mercy, and his liberality, when, though we see how miserable we are, and how unworthy of any kindness, we yet ask for great graces, trusting in the goodness of God, and in his faithfulness to his promises of granting to the man who prays whatever grace he asks: Whatsoever you will, ask, and it shall be done unto you (Jn 15,7). St. Mary Magdalene of Pazzi said, 'That God feels himself so honored and is so delighted when we ask for his grace, that he is, in a certain sense, grateful to us; because when we do this we seem to open to him a way to do us a kindness, and to satisfy his nature, which is to do good to all.' And let us be sure that, when we seek God's grace, he always gives us more than we ask If any of you want wisdom, let him ask of God, who gives to all abundantly, and upbraides not (James 15). Thus speaks St. James, to show us that God is not like men, parsimonious of his goods; men, though rich and liberal, when they give alms, are always somewhat close-handed, and generally give less than is asked of them, because their wealth, however great it be, is always finite; so that the more they give the less they have. But God, when he is asked, gives his good things 'abundantly,' that is, with a generous hand, always giving more than is asked, because his wealth is infinite, and the more he gives the more he has to give: For you, O Lord, are sweet and mild; and plenteous in mercy to all that call upon you (Ps.,85,5). You, O my God, said David, are but too liberal and kind to him that invokes you; the mercies which you pour upon him are superabundant, above all he asks. On this point, then, we have to fix all our attention, namely, to pray with confidence, feeling sure that by prayer all the treasures of heaven are thrown open to us. 'Let us attend to this,' says St. Chrysostom, 'and we shall open heaven to ourselves.' Prayer is a treasure; he who prays most receives most. St. Bonaventure says that every time a man has recourse to God by fervent prayer, he gains good things that are of more value than the whole world: 'Any day a man gains more by devout prayer than the whole world is worth.' Some devout souls spend a great deal of time in reading and in meditating, but pay but little attention to prayer. There is no doubt that spiritual reading, and meditation on the eternal truths, are very useful things; 'but,' says St. Augustine, 'it is of much more use to pray.' By reading and meditating we learn our duty; but by prayer we obtain the grace to do it. 'It is better to pray than to read: by reading we know what we ought to do; by prayer we receive what we ask.' What is the use of knowing our duty, and then not doing it, but to make us more guilty in God's sight? Read and meditate as we like, we shall never satisfy our obligations, unless we ask of God the grace to fulfil them. And, therefore, as St. Isidore observes, the devil is never more busy to distract us with the thoughts of worldly cares than when he perceives us praying and asking God for grace: 'Then mostly does the devil insinuate thoughts, when he sees a man praying.' And why? Because the enemy sees that at no other time do we gain so many treasures of heavenly goods as when we pray. This is the chief fruit of mental prayer, to ask God for the graces which we need for perseverance and for eternal salvation; and chiefly for this reason it is that mental prayer is morally necessary for the soul, to enable it to preserve itself in the grace of God. For if a person does not remember in the time of meditation to ask for the help necessary for perseverance, he will not do so at any other time; for without meditation he will t think of asking for it, and will not even think of the necessity for asking it. On the other hand, he who makes his meditation every day will easily see the needs of his soul, its dangers, and the necessity of his prayer; and so he, will pray, and will obtain the graces which will enable him to persevere and save his soul. Father Segneri said of himself, that when he began to meditate, he aimed rather at exciting affections than at making prayers. But when he came to know the necessity and the immense utility of prayer, he more and more applied himself, in his long mental prayer, to making petitions. In conclusion, to save one's soul without prayer is most difficult, and even (as we have seen) impossible, according to the ordinary course of God's providence. But by praying our salvation is made secure, and very easy. It is not necessary in order to save our souls to go among the heathen, and give up our life. It is not necessary to retire into the desert, and eat nothing but herbs. What does it cost us to say, My God, help me! Lord, assist me! have mercy on me! Is there anything more easy than this? and this little will suffice to save us, if we will be diligent in doing it. St. Laurence Justinian specially exhorts us to oblige ourselves to say a prayer at least when we begin any action: 'We must endeavor to offer a prayer at least in the beginning of every work.' Cassian attests that the principal advice of the ancient Fathers was to have recourse to God with short but frequent prayers. Let no one, says St. Bernard, think lightly of prayer, because God values it, and then gives us either what we ask, or what is still more useful to us: 'Let no one undervalue his prayer, for God does not undervalue it . . . he will give either what we ask, or what he knows to be better.' And let us understand, that if we do not pray, we have no excuse, because the grace of prayer is given to everyone. 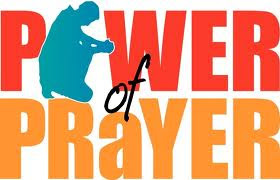 It is in our power to pray whenever we will, as David says of himself: With me is prayer to the God of my life; I will say to God, you are my support (Ps 41,8 9). God gives to all the grace of prayer, in order that thereby they may obtain every help, and even more than they need, for keeping the divine law, and for persevering till death. If we are not saved, the whole fault will be ours; and we shall have our own failure to answer for, because we did not pray.